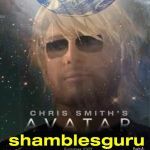 Shamblesguru ... another Philo-buster .... now who was the original singer ... Motown Lady? DR? Shamblesguru If I had the energy I'd dance .... but instead time to sleep. siobhanwishes *turns on radio in @WerewolfLeah 's car. Starts to sing* WAHOOOO! When I feel heavy metal! Shamblesguru Tulling in the fields of northern England .... playing poker to afford the beer ... sunrise again ... where did the night go? Shamblesguru Leeds Corn Exchange 1969 or was it 1970 .... they don't make them like they used to .... or do they? .... now where is Spoonfull? Shamblesguru Moody Blues ... revisited them at a show in Las Vegas in 2001 ... voices a little croaky .... but still brilliant experience ... will they play again? Shamblesguru AHHhh ... the Doobies .... where are my other matches? Shamblesguru Does anyone else remember a long Easter weekend ... doors locked ... house FULL of bodies ... rain outside ... growing up inside? Shamblesguru Can my knees still make it up the stairs?